Opening of the new Headquarters of Messer Construction Co. in West End! 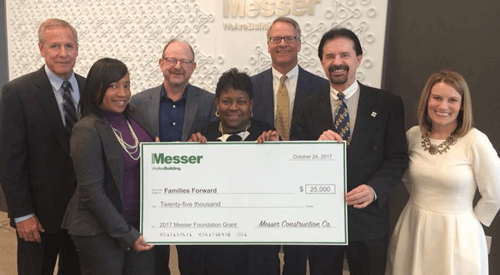 A big THANK YOU to Messer Construction for the generous grant of $25,000 to Families Forward for the after-school program at George Hays-Jennie Porter Elementary!!! !